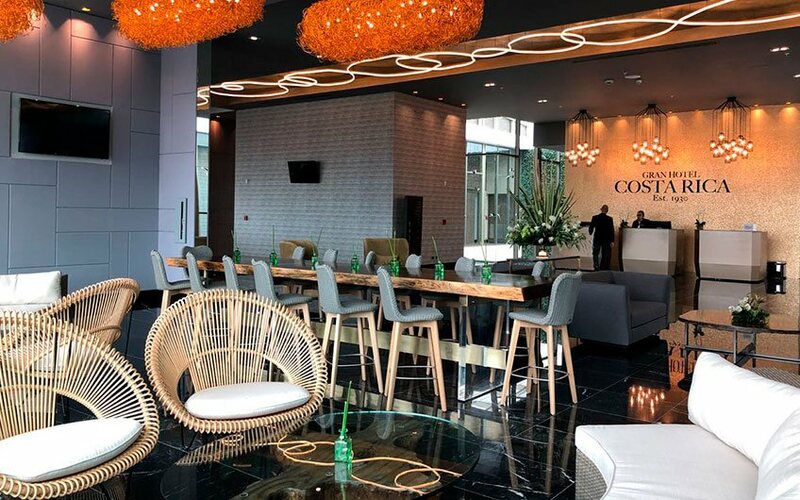 The Gran Hotel Costa Rica, Curio Collection by Hilton, reopened its doors on July 10th, as a reinvented historical jewel, in the heart of the San Jose Center in Costa Rica. 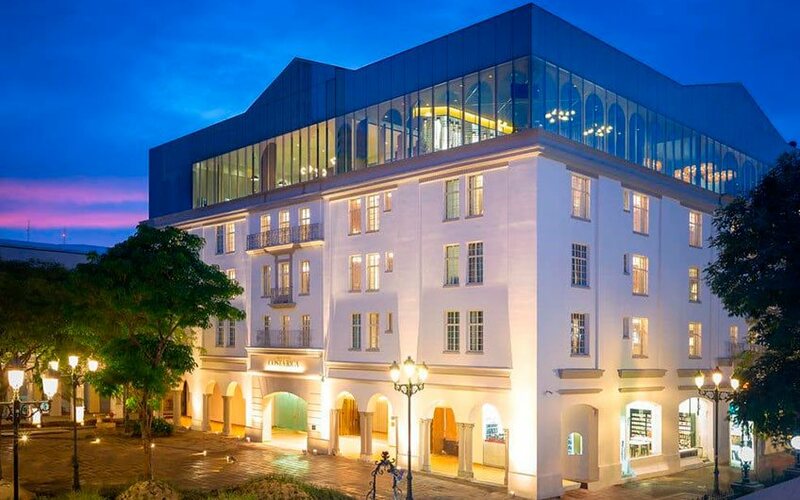 The current property, was the first hotel for international visitors in Costa Rica and its recent restoration with 79 rooms, merges history with a modern and innovative design, offering spectacular interior gardens and a rooftop with piano bar overlooking the National Theater and the city. 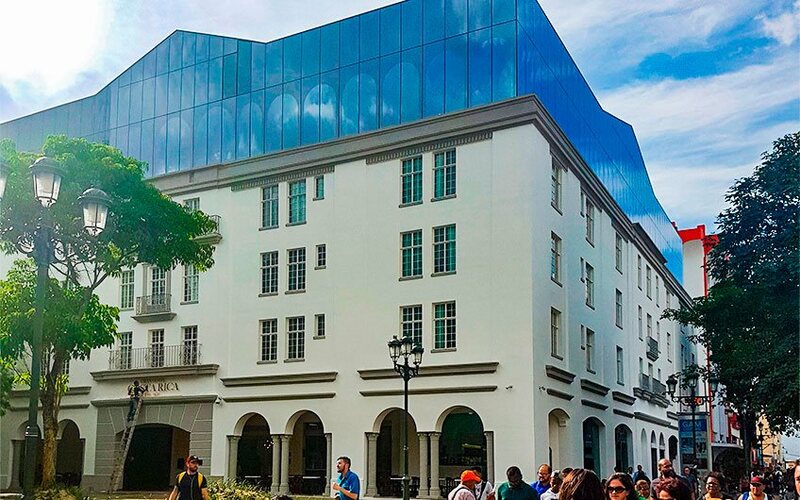 It originally began operations in October 1930 and was declared a Historical and Architectural Heritage in 2005, forming, together with the National Theater, Las Arcadas, the Plaza de la Cultura and the Museo del Oro, the most important collection of cultural buildings in San Jose. Eighty-eight years since its original opening, the renovation pays tribute to its rich history. "Increasing in the arrival of tourists over the previous year, Costa Rica remains a preferred destination of choice for travelers, and Curio Collection by Hilton is pleased to offer these travelers a new and authentic experience with the opening of Gran Hotel Costa Rica, "said Mark Nogal, global director, Curio Collection by Hilton. "We recognize the demand for unique accommodations in key markets in the region, and our first hotel in the country allows us to provide this to the growing number of travellers seeking superior and unexpected experiences while visiting the capital." Each room has organic and natural bathroom amenities, as well as complimentary Wi-Fi, 49-inch television, ergonomic work area and modern bathrooms. Guests who opt for a suite can take advantage of 24-hour butler service and access to the hotel's executive floor, which offers free breakfast, snacks and nightly liquors. Travelers can enjoy international flavors and Costa Rican cuisine at the Cultura5 restaurant, which offers panoramic views of San Jose Costa Rica from the fifth floor of the hotel and you can taste a wide selection of whiskey and gin from around the world at the piano bar. Guests can also take advantage of the 24-hour business center, gym and access to a 75-square-meter function room with modern audio-visual equipment and catering service. The Gran Hotel Costa Rica is located on Central Avenue, at a distance of 18 kilometers / 11 miles from the Juan Santamaria International Airport. It offers views of the National Theater and is surrounded by the city's main museums, squares, shops and cafes. Travelers can also take a day trip to the Braulio Carrillo National Park or the Poas Volcano. "As the newest boutique hotel in the city center, the Gran Hotel Costa Rica offers guests an outstanding travel experience during their travel in Costa Rica with carefully designed rooms and distinctive amenities," said Sandor Tupi, general manager of Gran Hotel Costa Rica, Curio Collection by Hilton. "Declared a historic and architectural monument in San Jose, the property is an important reference point for our community and we hope to show its beauty and history to travelers." Gran Hotel Costa Rica, Curio Collection by Hilton, is part of Hilton Honors, the award-winning guest loyalty program of Hilton's 14 hotel brands. Currently, Hilton has a portfolio of more than 130 hotels and resorts that are open and operating in the Caribbean and Latin America, including nine hotels of the Curio Collection by Hilton brand. The company is actively seeking additional growth opportunities in the Caribbean and Latin America, and currently has a solid development plan for more than 80 hotels throughout the region. This is an historic hotel in San Jose downtown, near the shopping district and other important attractions. It features 79 modern rooms, suites and executive rooms. You can find different and delicious dining options throughout the day, including restaurant, piano bar and room service at night. Guests can enjoy a 24-hour fitness center, business center, and convenience store. The hotel has an 80 m² party room with natural light to work and carry out social events. It is located at only 30 minutes from Juan Santamaria International Airport. National Theater: in front of the hotel. Gold Museum: 1 block away. Jade Museum: 4 blocks away. National Museum: 5 blocks away. Braulio Carrillo National Park: 18.5 km / 11.4 miles. Irazú Volcano: 46 km / 28.5 miles. Barrio Escalante: 2 km / 1.2 miles. Famous place with variety of restaurants (international & costa rican cusine) and Costa Rican craft beer. Closest beaches in Central Pacific: 99 - 103 km / 61 - 64 miles. Herradura beach good for swimming and Jacó Beach famous for surfing. Closest beache Caribbean: 215 km / 133 miles. Recommended beach to visit Puerto Viejo in the Limón province. Juan Santamaría International Airport (SJO): 18km / 11 miles. If you are planning a trip to Costa Rica and want to stay here please contact us and we will assist you gladly. Or, leave us a comment if you want to know more.